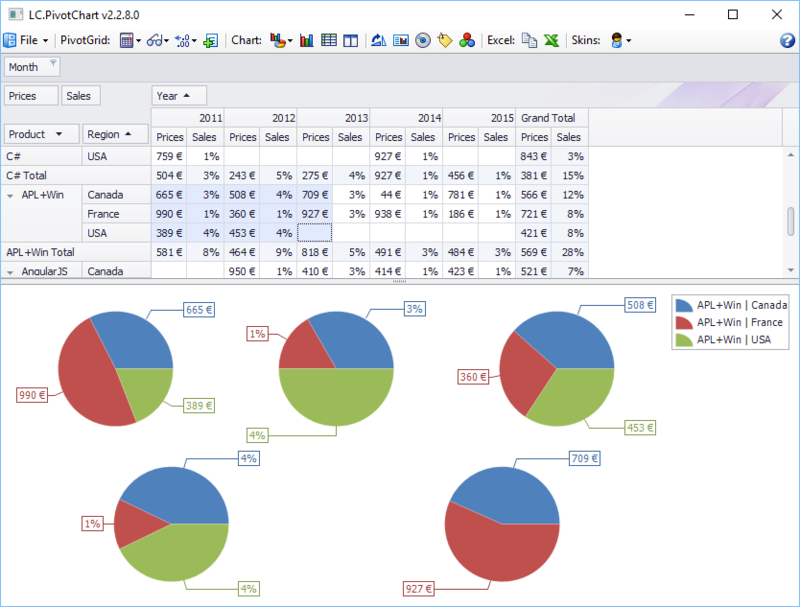 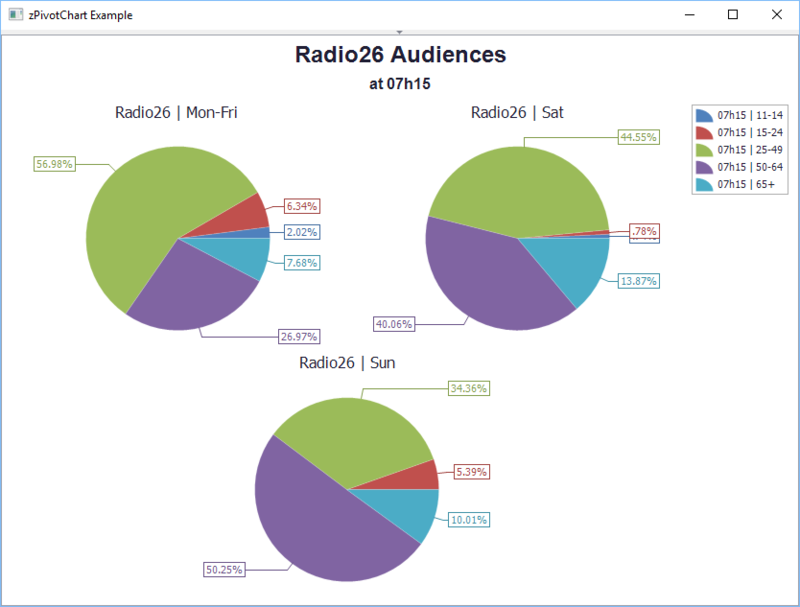 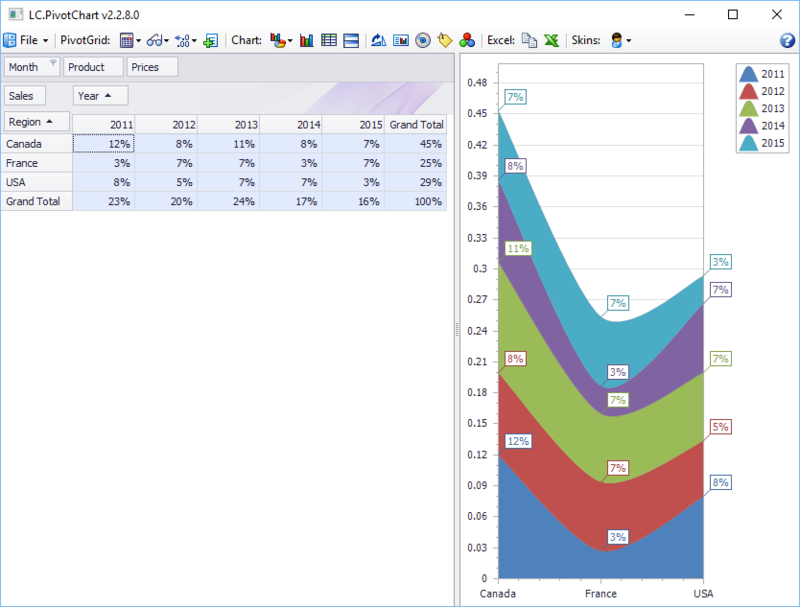 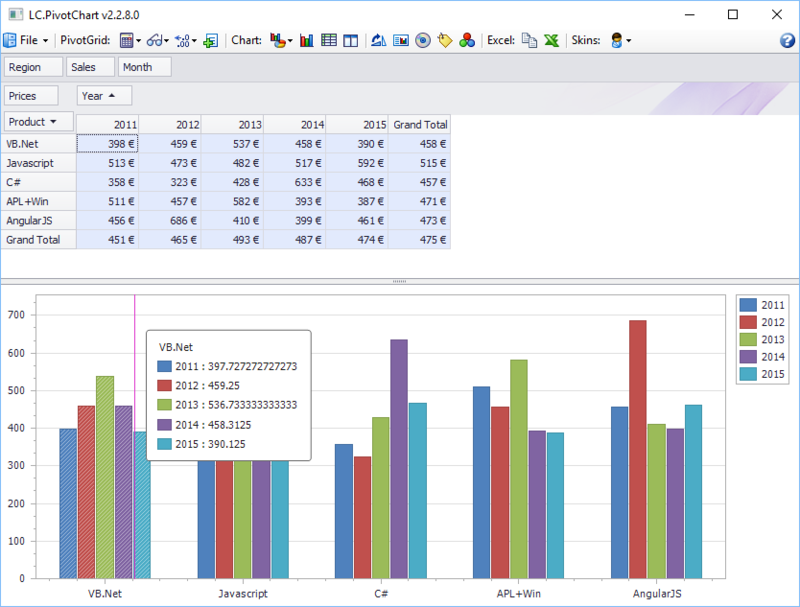 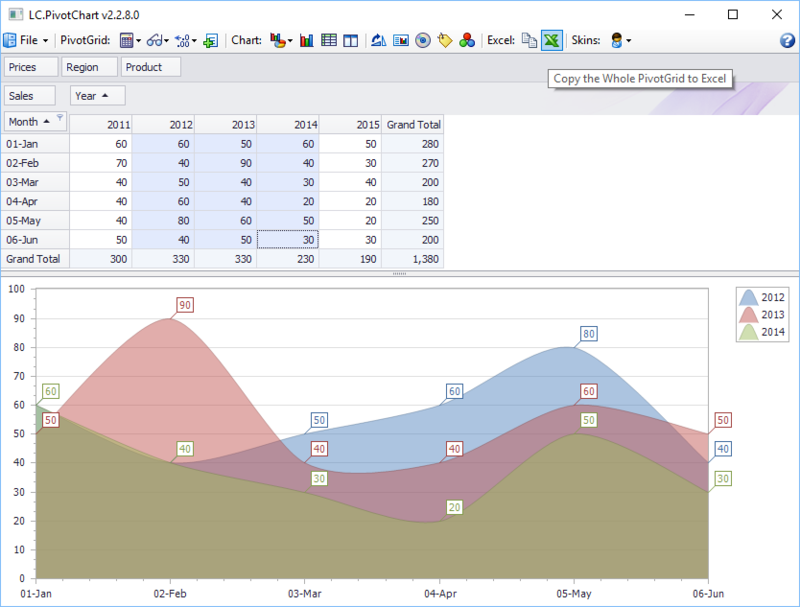 PivotChart is a C# ActiveX User Control that you can embed in your APL+Win Forms. 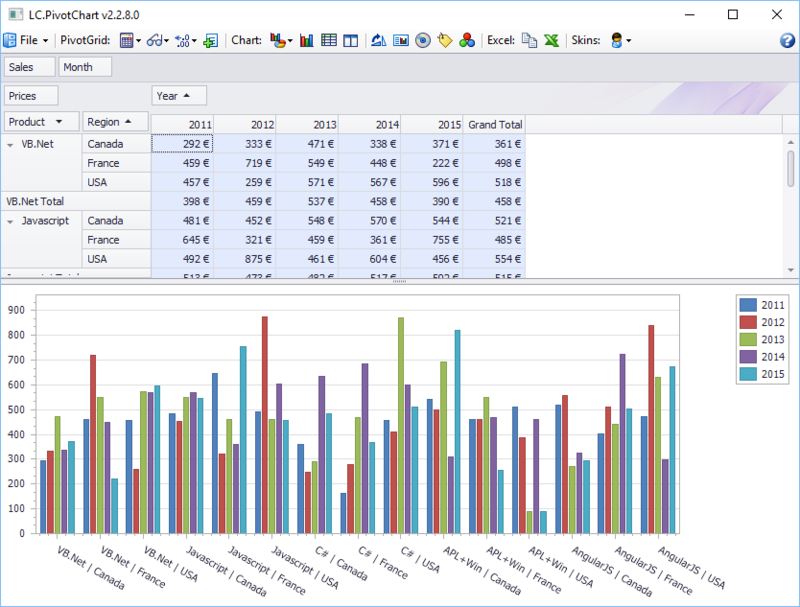 Its user interface lets you explore and analyze your data by simply dragging and dropping fields in rows and columns to the edges of the pivot grid. 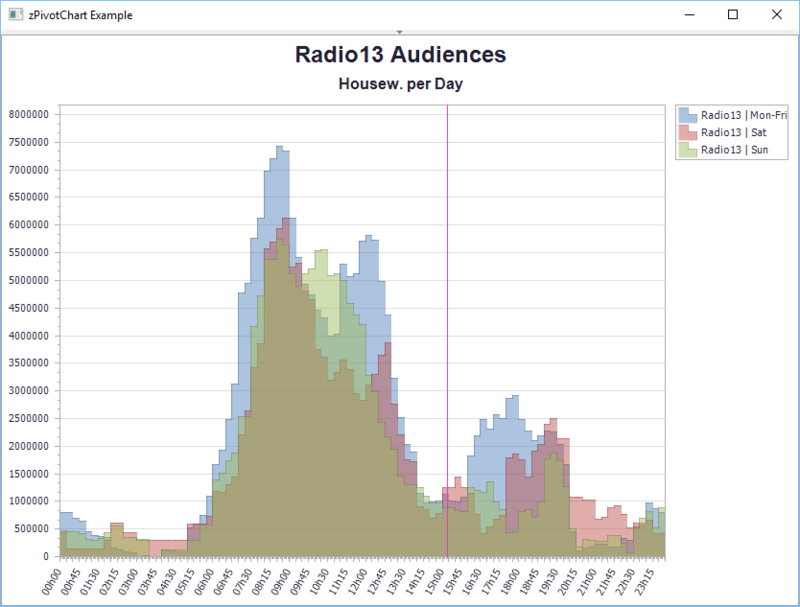 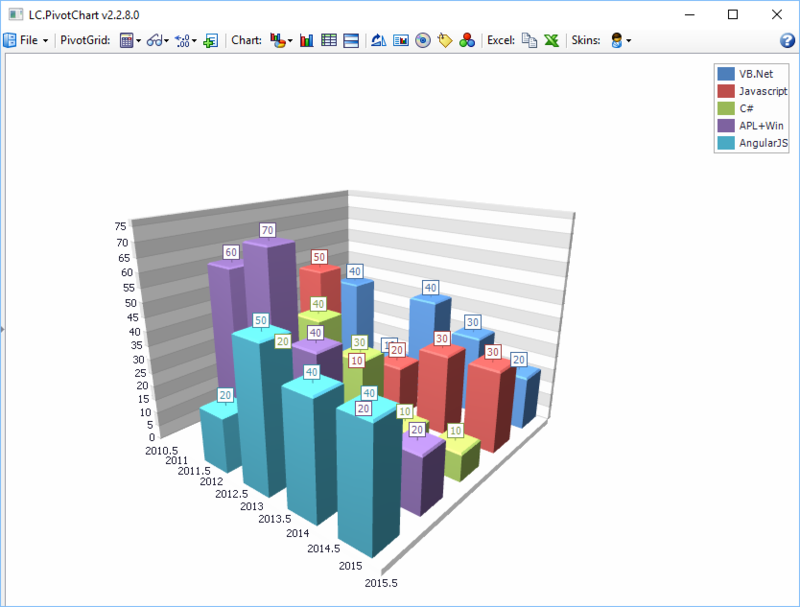 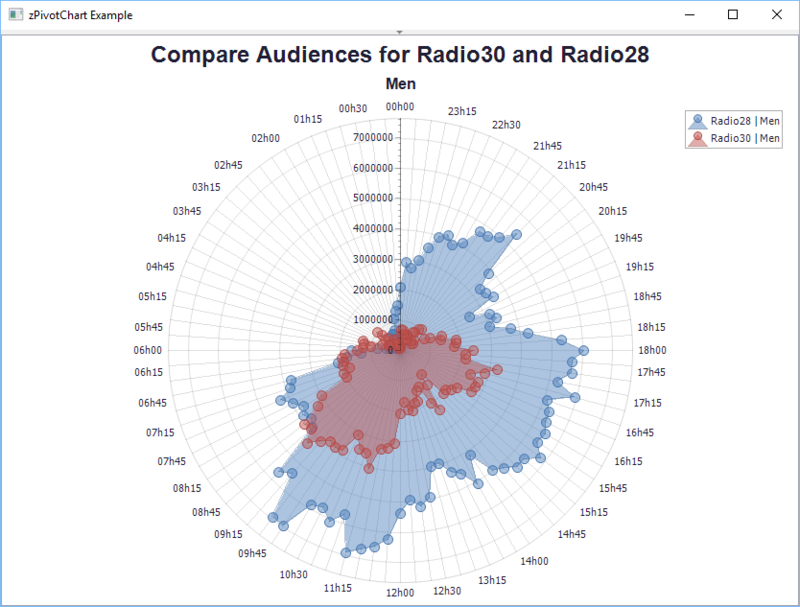 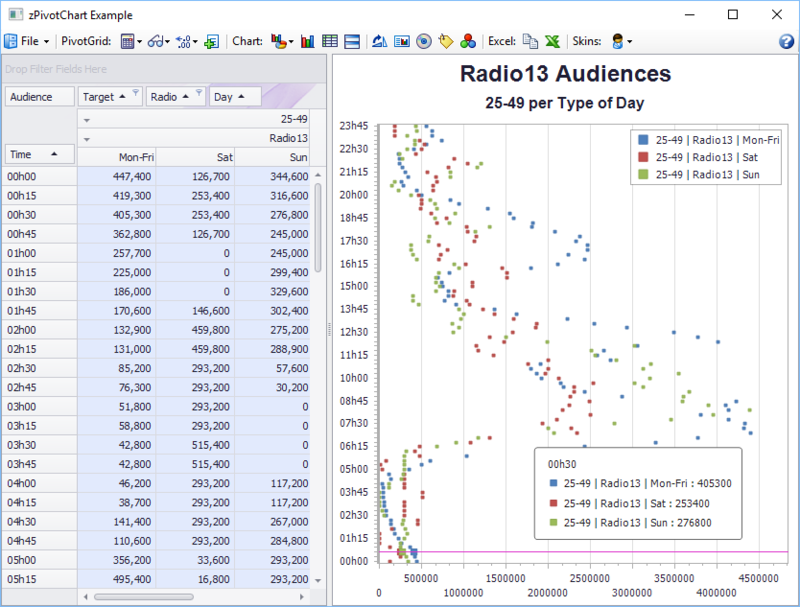 The selected data in the Pivot Grid is automatically displayed in one of the 40 available 2D and 3D charts. 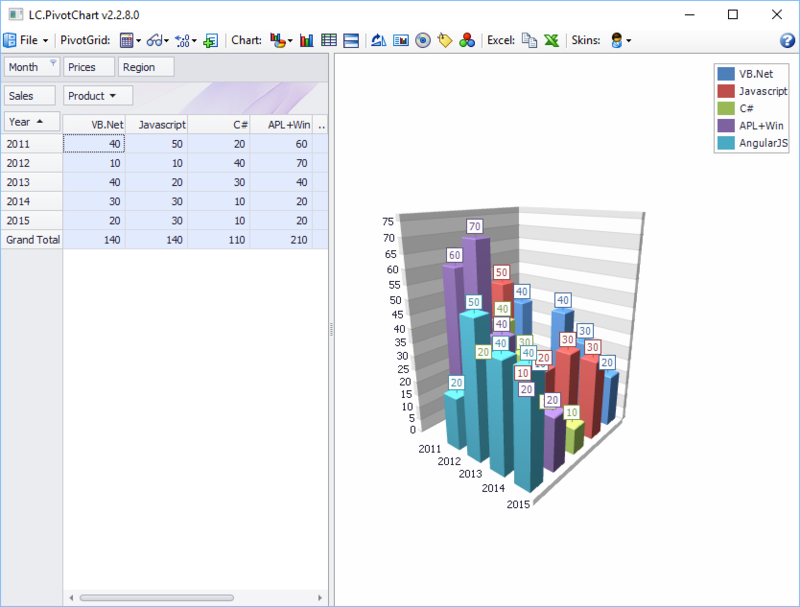 All the following features are available both interactively simply using the mouse and through the PivotChart ⎕wi API. 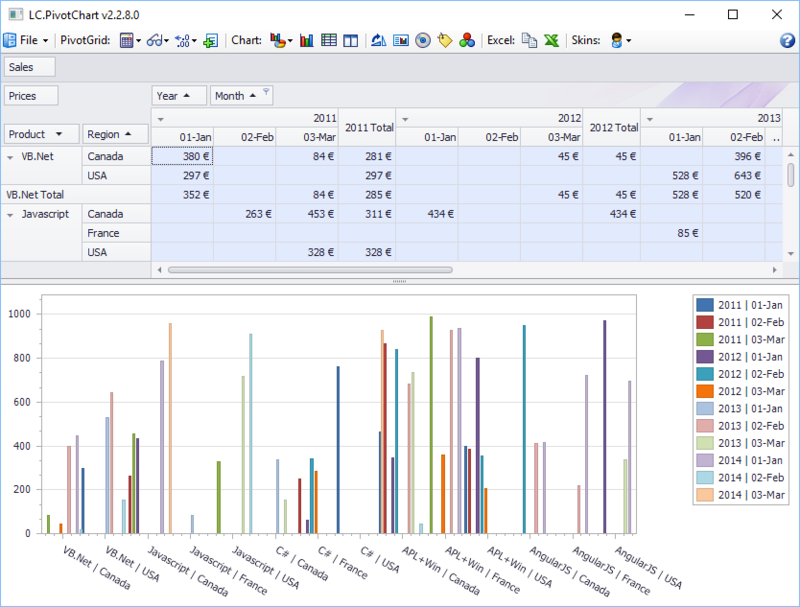 choose display type of: values, absolute variation, index, % of column, % of column grand total, % of grand total, etc.